Karl von Terzaghi (October 2, 1883 – October 25, 1963) was an Austrian Mechanical Engineer, geotechnical engineer and geologist known as the "father of soil mechanics". In 1883, he was born the first child of Army Lieutenant-Colonel Anton von Terzaghi, of Italian origin, and Amalia Eberle in Prague, in what is now the Czech Republic. Upon his father's retirement from the army, the family moved to Graz, Austria. At 10, Terzaghi was sent to a military boarding school, where he developed an interest in astronomy and geography. At age fourteen, Terzaghi entered a different military school, in Hranice, the Crown of Bohemia. He was an excellent student, especially in geometry and mathematics, and graduated with honors at 17. In 1900, Terzaghi entered the Technical University in Graz to study mechanical engineering, where he also developed an interest in theoretical mechanics. He was nearly expelled at one point but ended up graduating with honors in 1904. Terzaghi then fulfilled his compulsory one-year military service. While fulfilling his military obligations, Terzaghi translated and greatly expanded a popular English geology field manual to German. He returned to the university for one year and combined the study of geology with courses on subjects such as highway and railway engineering. Shortly afterward, he published his first academic paper on the geology of terraces in southern Styria. His first job was as a junior design engineer for the firm Adolph von Pittel, Vienna. The firm was becoming more involved in the relatively new field of hydroelectric power generation, and Karl became involved in the geological problems the firm faced. His responsibilities quickly increased, and by 1908, he was already managing a construction site, workers, and the design and construction of steel-reinforced structures. He embarked on an ambitious and challenging project to construct a hydroelectric dam in Croatia. He went on with great success to an even more chaotic project in St. Petersburg. For six months in Russia, he developed some novel graphical methods for the design of industrial tanks, which he submitted as a thesis for his PhD at the university. His growing list of achievements began to open more opportunity to him. He resolved to go to the United States, which he did in 1912. In the United States, on his own, he undertook an engineering tour of major dam construction sites in the West. It was no ordinary tour but his opportunity to gather reports and firsthand knowledge of the problems of many different projects, and he used it to the fullest before returning to Austria in December 1913. When World War I broke out, he found himself drafted into the army as an officer directing a 250-man engineering battalion. His responsibilities further increased, to leading 1,000 men, and he faced combat in Serbia and witnessed the fall of Belgrade. After a short stint managing an airfield, he became a professor at the Royal Ottoman College of Engineering in Istanbul (now Istanbul Technical University). There, he began a productive and contented period during which he began his lifelong work of bringing true engineering understanding to soil as an engineering material whose properties could be measured in standardized ways. He set up a laboratory, using only the most rudimentary of equipment, and began his revolution. Both his measurements and his analysis of the force on retaining walls were first published in English in 1919, and they were quickly recognized as an important new contribution to the scientific understanding of the fundamental behavior of soils. After the war, he was forced to resign his post at the University but managed to find a new post at Robert College in Istanbul, where he switched his teaching language from French to English and again constructed a laboratory out of the most simple equipment. Now, he studied various experimental and quantitative aspects of the permeability of soils to water and was able to work out some theories to explain the observations. He invented entirely new apparatus for the measurements and put in many long days of work to carry out the measurements himself. In 1924 he published much of it in his Magnum Opus, Erdbaumechanik (Soil Mechanics), which revolutionized the field to great acclaim. That resulted in a job offer from the Massachusetts Institute of Technology (MIT), which he immediately accepted. One of his first tasks in the United States was to bring his work to the attention of engineers. Then, he proceeded to do by writing a series of articles for the Engineering News Record, which were published in winter 1925, then as a small book in 1926. He found the facilities at MIT abominable and had to deal with obstruction from the administration. Brushing the obstacles aside, he once more set up a new laboratory geared towards making measurements on soils with instruments of his own devising. He entered a new phase of prolific publication and a rapidly growing and lucrative involvement as an engineering consultant on many large-scale projects. In 1927, Aurelia Schober Plath, who would become the mother of the poet Sylvia Plath, worked as a secretary for Terzaghi. She was of Austrian descent and worked for him by translating a handwritten manuscript in German, dealing with new principles of soil mechanics. After work, they would have dinner together when Terzaghi's conversation led her to Greek drama, Russian literature, the works of Hermann Hesse, the poems of Rainer Maria Rilke as well as the writings of great world philosophers. She claims the experience affected her for the rest of her life and that she "realized how narrow my world had been and that self-education could be and should be an exciting lifelong adventure. It was the beginning of my dream for the ideal education of the children I hoped some day to have." From 1926 to 1932, Arthur Casagrande, another pioneer of soil mechanics and geotechnical engineering, worked as Terzaghi's private assistant at MIT. Terzaghi was much in demand as a dinner companion and was a fascinating conversationalist. His striking good looks and evident power was very attractive to women. In 1928, he met the young Harvard doctoral student in geology, Ruth Dogget, and fell deeply in love. 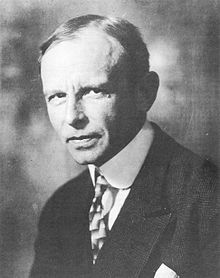 That year, Terzaghi was finally fed up with MIT and its president and determined to return to Europe. He accepted a chair at the Vienna Technische Hochshule in the winter of 1929. He married Ruth, who became his editor and collaborator as well. A short consulting trip to the Soviet Union before taking up his post horrified him, and he came to oppose the communist system there, as a regime exemplified by its brutality and chaos. Using Austria as his base, he traveled ceaselessly throughout Europe, consulting, lecturing and making new professional contacts and collaborations. His teaching workload was now relatively light so he continued his experimental investigations and became especially interested in the problems of the settling of foundations, and of grouting. He began writing the manuscript for a much updated and expanded version of Erdbaumechanik, now set for two volumes. However, the political turmoil in Austria began to interfere with his work, and in 1935, he decided to take a leave from Vienna from 1935 to 1936. He began his sabbatical with a short trip to consult with Todt and the architects of the proposed grandiose plans for immense buildings at the Nazi's Party Day Rally site in Nuremberg. That led to a conflict over the best way to lay a sound foundation, which led to a discussion with Hitler himself, who took an intense interest in all details of the architecture. Terzaghi then returned to America, where he gave a plenary lecture at the International Conference on Soil Mechanics at Harvard University (the event led to the establishment of the International Society for Soil Mechanics and Geotechnical Engineering; Terzaghi was its first president). He made a lecture tour of many other universities but discovered that prospects for employment were dim. He returned to Vienna in September 1936, shortly after the birth of his first son Eric. In Vienna, he returned to a nasty professional and political controversy (including an acrimonious dispute with Paul Fillunger), which he overcame only with some difficulty. He memorably stated, "The Fatherland denoted me as a Nazi, the Nazis as a Bolshevik, and the Bolsheviks as a conservative idealist. Certainly only one of the three could be right, and that one is the Bolsheviks." He escaped from Vienna frequently by extended consulting trips to major construction projects in England, Italy, France, Algeria, and Latvia, adding greatly to his engineering experience. In 1938, he emigrated to the United States and took up a post at Harvard University. By the end of the war, he had consulted on the Chicago subway system, Newport News Shipways construction, and raising the Normandie, among others. He became an American citizen in March 1943. He was awarded the Frank P. Brown Medal in 1946. He remained as a part-timer at Harvard University until his retirement in 1953, at the mandatory age of 70. In July 1954, he became the chairman of the Consulting Board for the construction of the Aswan High Dam. He resigned that post in 1959 after coming into conflict with the Soviet engineers in charge of the project but continued to consult on various hydroelectric projects, especially in British Columbia. He died in 1963, and his ashes were interred in South Waterford, Maine, near "Bear's Corner", the family retreat. The American Society of Civil Engineers established in 1960 the Karl Terzaghi Award to an "author of outstanding contributions to knowledge in the fields of soil mechanics, subsurface and earthwork engineering, and subsurface and earthwork construction." The Terzaghi and Peck Library, which is managed by the Norwegian Geotechnical Institute, in Oslo, Norway, holds an extensive collection of his papers. The Mission Dam in British Columbia, Canada, was renamed in his honor as the Terzaghi Dam in 1965. As Professor Goodman describes him, Karl Terzaghi was a remarkable man and an impassioned engineer. As he put it himself, "All the modest achievements which I have to my credit can be described by a simple formula… Guided by common sense and casual observations, I recognized weak points in traditional procedures and tried to make them less weak. Sometimes I failed, but usually I succeeded." Terzaghi, K., Theoretical Soil Mechanics, John Wiley and Sons, New York (1943) ISBN 0-471-85305-4. Terzaghi, K., Peck, R. B. and Mesri, G., Soil Mechanics in Engineering Practice, 3rd Ed. Wiley-Interscience (1996) ISBN 0-471-08658-4. Terzaghi, K., "Large Retaining Wall Tests", Engineering News Record Feb.1, March 8, April 19 (1934). Terzaghi, K., From theory to practice in soil mechanics;: Selections from the writings of Karl Terzaghi, with bibliography and contributions on his life and achievents John Wiley and Sons (1967). Terzaghi, K., Proctor, R. V. and White, T. L., "Rock Tunneling with Steel Supports," Commercial Shearing and Stamping Co. (1946). Terzaghi, K., American Society of Civil Engineers, "Terzaghi Lectures, 1974-1982," American Society of Civil Engineers (1986) ISBN 0-87262-532-X. ^ "History of the ISSMGE". ISSMGE. Retrieved 22 July 2013. This page was last edited on 24 March 2019, at 13:39 (UTC).